Closed sets and minimal generators are fundamental elements to build a complete knowledge representation in formal concept analysis. The enumeration of all the closed sets and their minimal generators from a set of rules or implications constitutes a complex problem, drawing an exponential cost. Even for small datasets, such representation can demand an exhaustive management of the information stored as attribute implications. In this work, we tackle this problem by merging two strategies. On the one hand, we design a pruning, strongly based on logic properties, to drastically reduce the search space of the method. On the other hand, we consider a parallelization of the problem leading to a massive computation by means of a map-reduce like paradigm. In this study we have characterized the type of search space reductions suitable for parallelization. Also, we have analyzed different situations to provide an orientation of the resources (number of cores) needed for both the parallel architecture and the size of the problem in the splitting stage to take advantage in the map stage. This work is partially supported by Project TIN2017-89023-P of the Science and Innovation Ministry of Spain, co-funded by the EU Regional Development (ERDF). 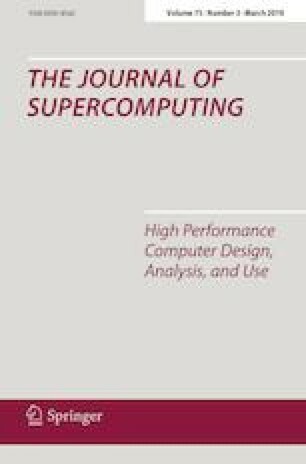 The authors thankfully acknowledge the computer resources, technical expertise and assistance provided by the Supercomputing and Bioinnovation Center of the University of Málaga - Andalucía Tech (SCBI), particularly to Dr. Rafael Larrosa and Dr. Darío Guerrero. We also want to mention the orientation provided by Dr. José Antonio Onieva to identify the properties of our algorithm for a better classification of its design.